AAKOM: Can You Do Mental Arithmetic... In Your Dreams? How good are you at mathematics? How good do you think you’d be at doing mental arithmetic while in a dream? Moreover, how good do you think your dream characters would be at doing similar calculations? This may sound like trying to interrogate a ghost, but such questions are being investigated by researchers in lucid dreaming. In lucid dreams, not only is the dreamer more conscious of what is taking place, but the characters met in the dream also appear to act as if they too had some form of consciousness or volition and, perhaps more mysteriously, they sometimes impart knowledge not known to the dreamer. This doesn’t mean that dream characters are actually conscious beings from another realm. Before investigating that possibility, researchers are looking at what the behaviours of dream characters may tell us about our own brain function and consciousness. If dream characters can manifest as preternaturally wise, how good are they at more mundane tasks? In 1989, Paul Tholey published the paper, “Consciousness and abilities of dream characters observed during lucid dreaming.” Nine experienced lucid dreamers were asked to request that their dream characters perform certain tasks. These included drawing or writing, naming words that were unknown to the dreamer, finding rhyming words, making verses, and solving arithmetic problems. The aim was to test the hypothesis that dream characters see and act within a dream scene from their own perspective, have personal access to memory, and manifest creative and independent thinking. The many successful actions highlighted one major anomaly: that dream characters were really bad at maths! The poor mathematical and logical abilities of dream characters who otherwise manifest as being intelligent, ingenious and even wise, is a source of some bewilderment. 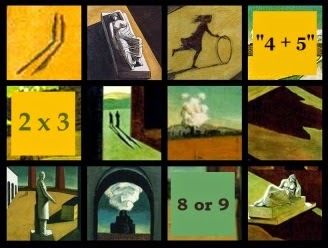 Following up Tholey’s research, Tadas Stumbrys and his team published a paper in 2011, “Lucid dream mathematics: An explorative online study of arithmetic abilities of dream characters.” Dream characters have shown that they have access to some memories, so they should have access to the same ‘multiplication table’ that the dreamer would have learnt as a child. Indeed, the dream characters seemed far more accurate on multiplication and division than they were on basic addition and subtraction. Of 42 documented questions, only 13 times did a dream character give the correct answer – that’s just under 28%. An astonishing 16 times, answers were either invalid (not even wrong!) or no answer was given at all. As an example, one dream character’s response to the simple “8+2” was a rather irritated “Gray zone”! This was not the only example where simple arithmetic was being interpreted as some sort of esoteric arithmology. As mentioned before, dream characters within lucid dreams often appear to have knowledge that the dreamer does not, or rather, they have access to knowledge that the dreamer has not made conscious. It may well be that lucid dream characters are well-described experientially in terms of Jungian archetypes or personas acting within a psychodrama. That such archetypes may have access to ‘hidden knowledge’ does not mean they necessarily have access to all the dreamer’s other memories. One lucid dreamer reported that he was able to improve a dream character’s arithmetic abilities through practice, leading to the possibility that new memories were being created specifically for that dream character. From a neuroscientific perspective, “Brain imagining data suggest that in waking, bilateral parietal lobes are involved in approximate calculations, while the left frontal lobe is involved in exact calculations (Dehaene, et al., 1999). The horizontal segment of the bilateral intraparietal sulcus (HIPS) is the region that is systematically activated in all number tasks and therefore seems to play a central role in number processing (Dehaene, et al., 2004).” (An image further down can be expanded to better view the brain regions mentioned.) During REM sleep and non-lucid dreaming, such regions appear to be largely inactive. However, research also appears to indicate that these regions are activated again during lucid REM dreams. 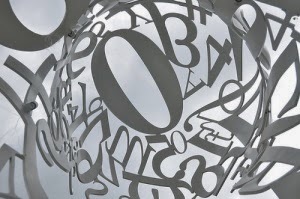 So a mystery remains as to why numerical tasks appear to be more of a problem, especially compared to linguistic tasks. Before being overly critical of the mathematical abilities of dream characters, I think it would be useful to experiment on the dreamer’s own abilities while in a lucid dream. This would at least give us some clues as to whether our abilities to perform calculations are themselves as lucid as in waking life or whether it is one of the systems that is shut down, either partially or wholly, during sleep. Stumbry’s paper describes instances where the dreamer’s own mathematical abilities betrayed them; in one instance it was the dream character who corrected the error. So, do we all suffer from ‘dream acalculia’? Would a professional mathematician be able to retain his skills within a lucid dream? What about others who use numbers and symbols on a daily basis, such as scientists, teachers and even students? In 1945, Jacques Hadamard published “An Essay on the Psychology of Invention in the Mathematical Field”. This was based on personal experience, historical papers and a survey of contemporary mathematicians and mathematical scientists. There appeared to be a broadly shared experience that solutions would sometimes appear fully-formed as flashes of insights. These were usually preceded by some hard thinking followed by a certain gestation period, during which the unconscious was assumed to still be processing the problem. Thus, the unconscious cannot be completely innumerate or unable to handle symbolic logic. However, Hadamard found no evidence that mathematical solutions ever came to people in their dreams. This in spite of Hadamard himself stating that, “One phenomenon is certain and I can vouch for its absolute certainty: the sudden and immediate appearance of a solution at the very moment of sudden awakening. […] a solution long searched for appeared to me at once without the slightest instant of reflection on my part, the fact was remarkable enough to have struck me unforgettably and in a quite different direction from any of those which I had previously tried to follow. Of course, such a phenomenon, which is fully certain in my own case, could be easily confused with a "mathematical dream," from which it differs.” This sounds like a hypnopompic state, but we must believe Hadamard that he was emerging from deep sleep and not a forgotten dream. I myself have had a variety of dreams involving numbers, algebra and even computer code, but only once did it dawn on me that I had actually solved a problem; that was in 3D geometry and the algebraic version still required some thinking while awake. If anybody has had the experience of actually solving a mathematical problem in a dream, as opposed to gaining an insight that was useful for a later solution in waking life, then please share it with us. So, the plot thickens. The unconscious, or at least part of our unconscious, seems perfectly capable of processing very sophisticated mathematics and then delivering the result to our conscious awareness, and yet, dream characters and sometimes even the lucid dreamer seem incapable of going beyond primary level arithmetic. So, is there another specialised part of the brain that handles numbers when we are awake but is not activated during lucid dreaming? Many tasks that we may perceive as being simple, such as adding two single-digit numbers, require complex interactions at the neural level. 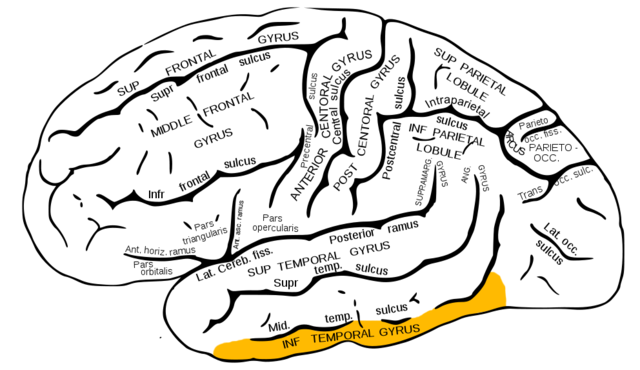 A recent experiment has shown high levels of activity in a small region of the inferior temporal gyrus in response to the recognition of numerals. The region [shown below in orange, click to enlarge.] is generally thought to process visual information, so that numerals are first processed as symbols before being used as numbers. This obviously makes sense, but this area was not activated when the subjects were shown ‘number words’, such as ‘one’, ‘two’ and so on; only when they saw numerals. This may also mean that the dreamer should be careful in how the arithmetic problems are presented; stating a calculation verbally may yield a different answer to writing it down on a piece of paper or a slate and, possibly, even asking the dream character to write the answer. Now, as I will no doubt keep mentioning, there is no grand unified theory of consciousness – not yet, anyway. The confluence of some ancient esoteric traditions and modern neuroscience is leading to some serious revisions in the Western views of mind and consciousness. Some states of mind that were thought to be fanciful or impossible are slowly being shown to be valid, if still somewhat rare, whereas others, such as lucid dreams, are being experienced by an increasing number of people and becoming part of our revised theory of mind. All of this means that, even without expensive research equipment, we can all participate in our own personal experiments on accessing new states of consciousness. Merely discussing such matters will change our perceptions of what we consider important in life. Is following a movie star really more important than our own dream characters? The two papers I mentioned above are both exploratory in nature, that is, they give purely preliminary results in the quest to define clear hypotheses and more controlled experiments. Few people have both the desired abilities and the time to spend many nights in a sleep lab, so the use of self-reporting supplemented with laboratory studies may be the way forward until portable equipment exists that makes data collection both reliable and easy to do at home. With this in mind, I’d like to hear from anybody who would like to try the experiment described above: to enter a lucid dream and find a dream character who is willing to answer some questions on arithmetic. I think this article is already long enough so I shall write on tentative protocols in the near future if there is interest. You can always just enjoy trying it on an ad hoc basis! If you would like to learn how to lucid dream, then there are numerous books and websites. The key is to find the easiest and most efficient method for you personally; this in itself will require some experimentation. I shall also write further on this topic as I sift through different methods and research papers. For the moment, we are left with a puzzle: why are mathematical calculations so difficult to do in the lucid dream state compared to other cognitive tasks? This is not of purely academic interest. Lucid dreaming is being used by some sports coaches as a way for athletes to practise their techniques. This relies on memories formed within the lucid dream being available in the waking state, whether consciously or through intuition. If this were also true for mathematical skills, then it may be possible for the lucid dreamer to improve such skills during dreams. I know, this may not sound like the most fun you could have in a dream, but it may help those with serious problems in handling numbers.